At the time, of course, we all took it for granted, but looking back on it now I don’t think I ever really appreciated that most of my mother’s day was spent cooking and looking after our family. In fact, I remember being incredibly shocked when I visited my first proper boyfriend’s home and discovered that not only did their meals tend to consist of microwaved ready-meals, they didn’t even sit together or eat at the same time. We all had Sunday lunch together once, an awkward silence hovering over the table as I tried to hoover my food down as fast as possible so that we could escape (another rule in my family: when you finish your food you sit and wait for everybody else and make polite conversation; a rule in the boyfriend’s family: when you’re done, you’re done. Bugger off). I remember the boyfriend’s mother laughing and saying, “God, I don’t know when the last time you sat down with us for a meal was! Maybe when you were 17 or 18?” – The boyfriend was, then, 23 (and still living at home whilst working part-time in a fast food shop; a very different background to my own). Always adventurous with food (and, generally, greedy), when out for dinner at one of the many restaurants we tried as youngsters, my mother would always give me a little of her dish to try. That’s how I fell in love with both sweetbreads and risotto (foie gras and calves’ liver were the dishes my father gave me to try, both things I now adore, though I do not currently eat foie gras; a subject for another time). But risotto – what a revelation! We had rice with every meal at home, but it was steamed Jasmine rice, or sometimes sticky Japanese rice, but never anything like this. You could have Italian rice that was cooked in stock and was creamy, sticky and delicious?! I was sold. Risotto is one of those wonderful foods that you can throw almost anything into and make a quick meal. 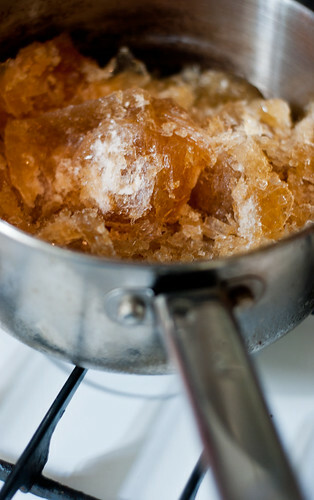 Even better, when you have homemade stock in the freezer, just waiting to be used, risotto is the perfect indulgence. Over time I’ve perfected my basic risotto recipe, 10 tips for which I’ll now share with you, and honestly? Master this baby and you’re laughing. 1. Start with good stock. If this is going to be the base of your meal you want it to be good, right? You can make stock with stock cubes and Lord knows that I’ve done it, but if you start with good, homemade stock, you’ll never want to make it any other way. It’s just so much more delicious and satisfying! 2. For an extra creamy texture, add a dash of cream to the stock. 3. I’ve tried a few different rices for risotto and I have to say, my favourite is carnaroli. 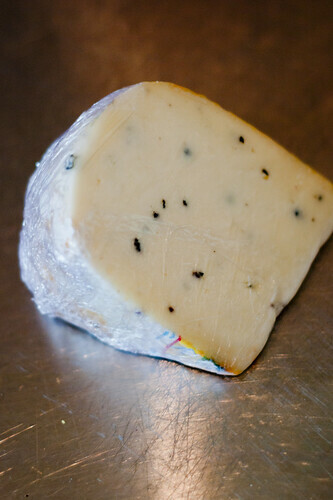 It is very much a preference, but I found that with carnaroli I had more of that silky, creamy texture with a slight al-dente bite that is so often looked for in risottos. 4. Don’t crowd the pot – fairly standard cooking advice, but too many ingredients in the pot just means that it’s harder to cook it all evenly. Always go for a slightly larger pot and less ingredients. 5. Always bring the stock to the boil first, then lower to a simmer and keep on the heat until there is no stock left. Cold liquids ‘shock’ the rice, which means that they don’t explode and fluff up. Keep your stock hot. 6. Evenly sized ingredients cook together. If using vegetables or meat, cut everything to the same size. 7. Stir often, wait for the rice to absorb most of the liquid, then stir again. There’s a very fine line between stirring often enough and stirring too much which is, mostly, down to experience, but generally I give it a stir, let the liquids absorb, stir again, leave it and then stir once more before adding more stock. 8. Add the stock a couple of ladles at a time over a medium-low heat – you don’t want to flood the risotto and the ideal finished risotto should be what Italians call all’onda, which translates as ‘wave’ or, in this instance, ‘with a wavey texture.’ This means that the risotto is still pourable but not soup-like. Measure your stock into your risotto carefully and you can monitor it until it has reached the ideal all’onda consistency. 9. Serve straightaway and eat whilst hot, as the rice continues cooking off the heat. Got it? Good. Use one for homemade stock: done. The risotto I made this time round used up some leftover ham hock (which was ready-made and pretty against my normal rule of thumb, but it was Waitrose so I made an exception. After I’d eaten it I found out that they were doing a product recall due to trace amounts of Listeria found in a specific batch, which then ensued a mad rummage through the bin to find the best before date on the packaging. Thankfully, my best before date fell just before the product recall’s, but the moral of this story is: make it yourself if you want to know what’s in it) and some frozen peas, as they were both things I had on hand, and topped it all with some gorgeous truffle pecorino I had been gifted earlier in the week (the pecorino is quite strong so I didn’t stir any into the risotto, which I normally do). The end-result was absolutely delicious. So, c’mon, what are you waiting for? I know you’ve got stock in the freezer. Go on, get on this. 1. Bring the stock to the boil in a medium saucepan, then lower to a simmer and add the dash of cream (if using), whisking in thoroughly. 2. In another large saucepan or pot, melt the butter with the splash of olive oil over a medium-high heat. Add the onion and saute until translucent and soft. 3. Add the carnaroli and stir until all the grains are well coated. Add the wine and stir well. 4. Two ladles at a time, add the stock to the rice, stirring often but not too much (see tip in body of post above). After adding the last two ladles of stock, add the frozen peas and 3/4 of the ham, stirring through until evenly distributed. After this point you can stir through about a handful of grated Parmigiano and a small knob of butter for extra creaminess and flavour, but I didn’t think this particular risotto needed it. 5. 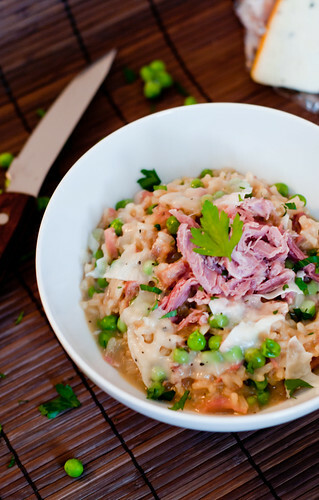 When the risotto has reached the desired all’onda consistency, turn off the heat, immediately transfer into bowls and top with shavings of your cheese of choice and the rest of the ham hock, then serve. Delicious. Next time we’ll talk about how to use up the leftover chicken from your chicken stock. Until then, peace and love. My Mom is going to freak over this! Thanks Jackie Feeder lady! Love ya! Short of the occasional 25 cent cone of chips purchased for us kids on a Sunday drive, the only dinners out we had were our wedding dinners! Such was the case for my Mom & Dad raising seven kids but like you, meals were always home-made and taken as a family, at the table together. My Mom could make some incredible delicious and hearty meals. They were never anything exotic or fancy but they were healthy and always filled our bellies. Nothing was ever wasted. She would have enjoyed making this risotto. And oh, forgot to say that being Chinese, anything with ric in it is bound to be good…. I can relate. I have a tribe of a family and whenever we can, we try and have a sit down meal all together (even though we are all unable to fit round the table lol) I’ve had some memorable meals with my family, and many new discoveries and tastes from the Philippines. BTW the risotto looks delicious! !